In this article I’ll talk about several proven forex hedging strategies. The first section is an introduction to the concept which you can safely skip if you already understand what hedging is all about. The second two sections look at hedging strategies to protect against downside risk. Pair hedging is a strategy which trades correlated instruments in different directions. This is done to even out the return profile. Option hedging limits downside risk by the use of call or put options. This is as near to a perfect hedge as you can get, but it comes at a price as is explained. Hedging is a way of protecting an investment against losses. Hedging can be used to protect against an adverse price move in an asset that you’re holding. It can also be used to protect against fluctuations in currency exchange rates when an asset is priced in a different currency to your own. Hedging might help you sleep at night. But this peace of mind comes at a cost. A hedging strategy will have a direct cost. But it can also have an indirect cost in that the hedge itself can restrict your profits. The second rule above is also important. The only sure hedge is not to be in the market in the first place. Always worth thinking on beforehand. The most basic form of hedging is where an investor wants to mitigate currency risk. Let’s say a US investor buys a foreign asset that’s denominated in British pounds. For simplicity, let’s assume it’s a company share though keep in mind that the principle is the same for any other kind of assets. The table below shows the investor’s account position. Without protection the investor faces two risks. The first risk is that the share price falls. The second risk is that the value of the British pound falls against the US dollar. Given the volatile nature of currencies, the movement of exchange rates could easily eliminate any potential profits on the share. To offset this, the position can be hedged using a GBPUSD currency forward as follows. In the above the investor “shorts” a currency forward in GBPUSD at the current spot rate. The volume is such that the initial nominal value matches that of the share position. This “locks in” the exchange rate therefore giving the investor protection against exchange rate moves. At the outset, the value of the forward is zero. If GBPUSD falls the value of the forward will rise. Likewise if GBPUSD rises, the value of the forward will fall. The table above shows two scenarios. In both the share price in the domestic currency remains the same. In the first scenario, GBP falls against the dollar. The lower exchange rate means the share is now only worth $2460.90. But the fall in GBPUSD means that the currency forward is now worth $378.60. This exactly offsets the loss in the exchange rate. Note also that if GBPUSD rises, the opposite happens. The share is worth more in USD terms, but this gain is offset by an equivalent loss on the currency forward. In the above examples, the share value in GBP remained the same. The investor needed to know the size of the forward contract in advance. 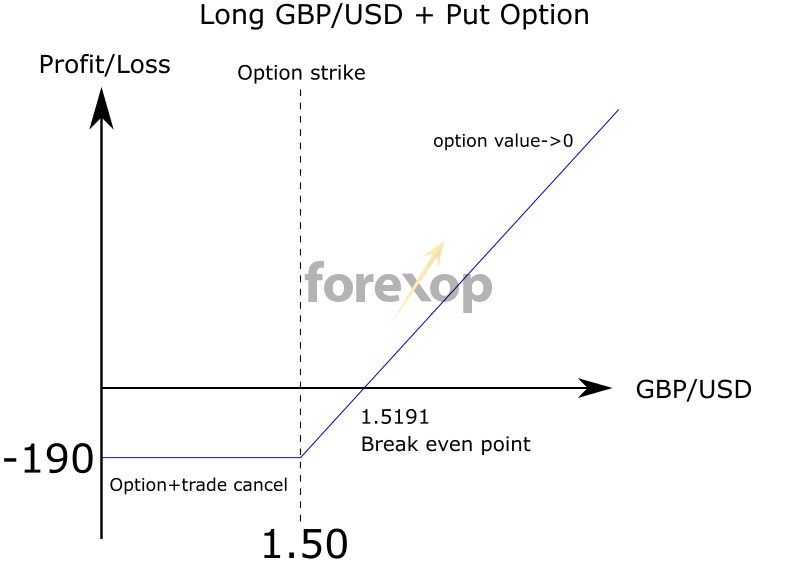 To keep the currency hedge effective, the investor would need to increase or decrease the size of the forward to match the value of the share. As this example shows, currency hedging can be an active as well as an expensive process. Because hedging has cost and can cap profits, it’s always important to ask: “why hedge”? For FX traders, the decision on whether to hedge is seldom clear cut. In most cases FX traders are not holding assets, but trading differentials in currency. Carry traders are the exception to this. With a carry trade, the trader holds a position to accumulate interest. The exchange rate loss or gain is something that the carry trader needs to allow for and is often the biggest risk. 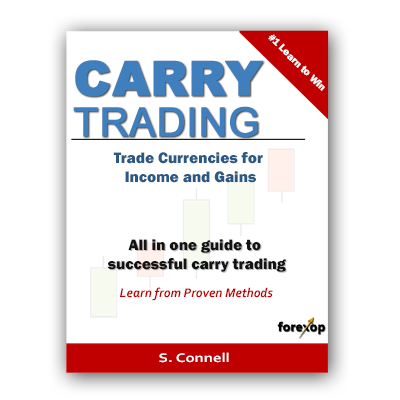 A large movement in exchange rates can easily wipe out the interest a trader accrues by holding a carry pair. More to the point carry pairs are often subject to extreme movements as funds flow into and away from them as central bank policy changes (read more). To mitigate this risk the carry trader can use something called “reverse carry pair hedging”. This is a type of basis trade. With this strategy, the trader will take out a second hedging position. The pair chosen for the hedging position is one that has strong correlation with the carry pair but crucially the swap interest must be significantly lower. Take the following example. The pair NZDCHF currently gives a net interest of 3.39%. Now we need to find a hedging pair that 1) correlates strongly with NZDCHF and 2) has lower interest on the required trade side. Using this free FX hedging tool the following pairs are pulled out as candidates. The tool shows that AUDJPY has the highest correlation to NZDCHF over the period I chose (one month). Since the correlation is positive, we would need to short this pair to give a hedge against NZDCHF. But since the interest on a short AUDJPY position would be -2.62% it would wipe out most of the carry interest in the long position in NZDCHF. The second candidate, GBPUSD looks more promising. Interest on a short position in GBPUSD would be -1.04%. The correlation is still fairly high at 0.7137 therefore this would be the best choice. The volumes are chosen so that the nominal trade amounts match. This will give the best hedging according to the current correlation. Figure 1 above shows the returns of the hedge trade versus the unhedged trade. You can see from this that the hedging is far from perfect but it does successfully reduce some of the big drops that would have otherwise occurred. The table below shows the month by month cash flows and profit/loss both for the hedged and unhedged trade. Hedging using an offsetting pair has limitations. Firstly, correlations between currency pairs are continually evolving. There is no guarantee that the relationship that was seen at the start will hold for long and in fact it can even reverse over certain time periods. This means that “pair hedging” could actually increase risk not decrease it. For more reliable hedging strategies the use of options is needed. Using a collar strategy is a common way to hedge carry trades, and can sometimes yield a better return. One hedging approach is to buy “out of the money” options to cover the downside in the carry trade. In the example above an “out of the money” put option on NZDCHF would be bought to limit the downside risk. The reason for using an “out of the money put” is that the option premium (cost) is lower but it still affords the carry trader protection against a severe drawdown. As an alternative to hedging you can sell covered call options. This approach won’t provide any downside protection. But as writer of the option you pocket the option premium and hope that it will expire worthless. For a “short call” this happens if the price falls or remains the same. Of course if the price falls too far you will lose on the underlying position. But the premium collected from continually writing covered calls can be substantial and more than enough to offset downside losses. If the price rises you’ll have to pay out on the call you’ve written. But this expense will be covered by a rise in the value of the underlying, in the example NZDCHF. Hedging with derivatives is an advanced strategy and should only be attempted if you fully understand what you are doing. The next chapter examines hedging with options in more detail. What most traders really want when they talk about hedging is to have downside protection but still have the possibility to make a profit. If the aim is to keep some upside, there’s only one way to do this and that’s by using options. When hedging a position with a correlated instrument, when one goes up the other goes down. Options are different. They have an asymmetrical payoff. The option will pay off when the underlying goes in one direction but cancel when it goes in the other direction. First some basic option terminology. A buyer of an option is the person seeking risk protection. The seller (also called writer) is the person providing that protection. The terminology long and short is also common. Thus to protect against GBPUSD falling you would buy (go long) a GBPUSD put option. A put will pay off if the price falls, but cancel if it rises. On the other hand if you are short GBPUSD, to protect against it rising, you’d buy a call option. For more on options trading see this tutorial. Take the following example. A trader has the following long position in GBPUSD. The price has already fallen since he entered so the position is now down by $70. The put option will pay out if the price of GBPUSD falls below 1.5000. This is called the strike price. If the price is above 1.500 on the expiry date, the put option will expire worthless. The above deal will limit the loss on the trade to 100 pips. In the worst case scenario the trader will lose $190.59. This includes the $90.59 cost of the option. The upside profit is unlimited. The option has no intrinsic value when the trader buys it. This is an “out of the money” option. 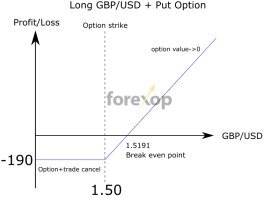 The time value, or premium is there to reflect the fact that the price may fall and the option could therefore go “in the money”. The trader pays $90.59 for this privilege of gaining downside protect. This premium goes to the seller of the option (the writer). Note that the above structure of a put plus a long in the underlying has the same pay off as a long call option. The table above shows the pay outs in three different scenarios: Namely the price rising, falling or staying the same. Notice that the price has to rise slightly for the trader to make a profit in order to cover the cost of the option premium. super article on hedging and thoroughly explained.. thanks steve.